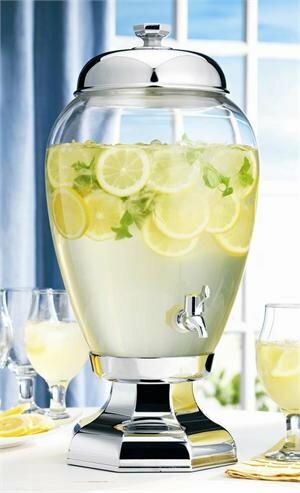 Entertain in chic style with our elegant and charming three-gallon beverage dispenser. This beautifully crafted beverage essential will add a decorative touch to your surroundings while offering a functional vessel for your favorite drinks and cocktails. Its superb quality and fine design will serve well at any occasion.